You’ve found a family and cosmetic dentist in Yonkers, Westchester County who can treat most dental health conditions. 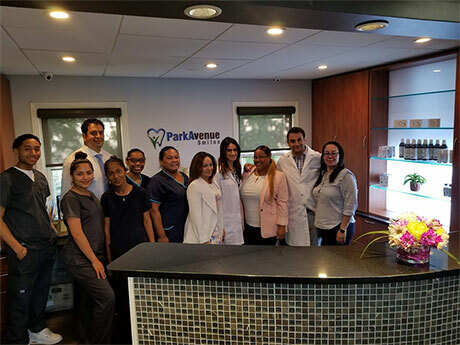 Whether you need periodontics, orthodontics or cosmetic dentistry, the board certified dentists at Park Avenue Smiles or Yonkers make you comfortable and confident as they treat your oral health and maintain your dazzling smile. Here’s a Yonkers family dentist you can trust with your children’s teeth, as well as your own. Our state of the art family and cosmetic dentistry center in Yonkers equipped with the most advanced equipment available in USA including latest lasers & high precision microscopes. We use only the best quality medical grade titanium or titanium alloy components for dental implants. Dr. John Habib is a family and cosmetic dentist in Yonkers. He is a gentle, patient, and caring Yonkers dentist. He always takes the time to provide you with the best dental care possible. He is well regarded by his patients for his thoroughness and attention to detail. Rather than being rushed, you’ll know that he is there to serve your needs. 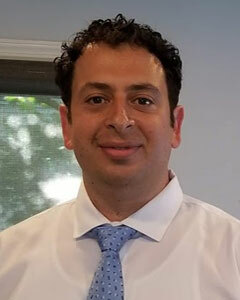 Dr. Habib attended Marist College before receiving his Doctorate at the State University of New York at Stony Brook in 2003, where he earned several prestigious awards for excellence in dentistry. Dr. Habib is dedicated to advance, postdoctoral study and provides his patients with a gentle, caring, comprehensive approach to oral health. He believes in conservative, preventative dentistry, and his goal is to increase the longevity of his patient’s teeth. Farzin Farokhzadeh is a family and cosmetic dentist based in Yonkers and Bronx, NY. 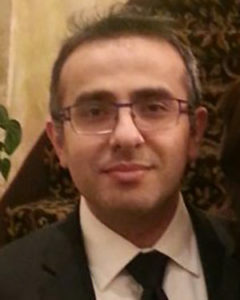 Dr. Farokhzadeh attended the State University of New York, Stony Brook, where he received his dental degree. Dr. Farokhzadeh runs his own dental center in Yonkers. Patients see dentist Farokhzadeh for a variety of reasons, including dental braces consultations, bridges, dental crowns, fillings, and dentures. Dr. Farokhzadeh is a member of The Empire Aligners. Best rated cosmetic dentist, a winner of the 2017 Galler Cup and was awarded the Top Invisalign Dentists in North America. He is a member of The American Academy of Clear Aligners. He dedicated to providing with the best that dentistry has to offer. Continually educating the team on the newest dental techniques and approaches. Dr. Sadighpour’s early experiences as a dental patient, and the fear they created, led him to want to study family, general and cosmetic dentistry to give his patients a better experience. He vowed to make his patients comfortable, healthy, and pain-free. Decades later, after graduating top of his class from his undergraduate program, Dr. Sadighpour fulfilled his dream by graduating with high honors from Stony Brook University School of Dental Medicine. Today, Dr. Sadighpour’s patients compliment his chairside manner and love the pain-free family and cosmetic dentistry they receive. Dr. Sadighpour, a cosmetic dentist in Yonkers recommends treatment that he tailors to the patient’s general medical health and to their life. Whether you need dental implants, Orthodontics, or a simple dental cleaning, Yonkers dentist Dr. Sadighpour and one of his specialist colleagues will ensure a lasting, happy smile. 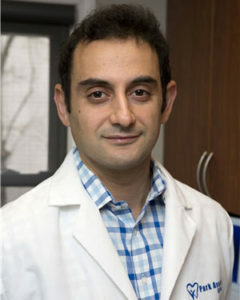 In his free time, Dr. Sadighpour loves his family life, taking care of his 2 girls and youngest son. 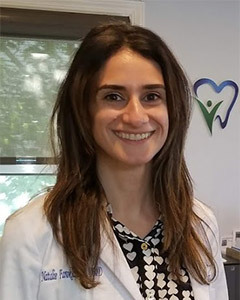 Dr. Yana Rosenstein, our residing periodontist in Yonkers, received her doctorate of dental surgery from the highly selective and prestigious SUNY Stony Brook of dental medicine. She also completed a three year post graduate program in periodontics at the University of Medicine and Dentistry of New jersey, where she mastered the most current and advanced dental implants techniques in dental implantology,sinus elevation and grafting, treatment and prevention of gum disease, cosmetic gum surgery, dental implant development, bone regeneration and grafting. Dr. Rosenstein leads her field due to her ability to provide the finest, most cutting edge service, in a warm caring environment. The implant doctor is committed to giving special attention and highest level of dental implants service to every patient and she is known in Yonkers for giving out her telephone number to her dental implant patients. Patients feel extra comfortable knowing Dr. Rosenstein has a 98% success with the placement of her dental implants. With nineteen years of experience, Dr. Beydoun, board-certified by the American Board of Periodontology, is renowned in New York and New Jersey for his consistently exceptional results in periodontal and dental implants surgery. His artistic surgical technique and gentle approach to treatment, which promotes reduced recovery time, make him the first choice for many patients seeking dental implants as well as other periodontal procedures in the New York and New Jersey area. 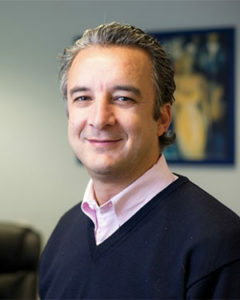 Dr. Beydoun initially received his DMD degree from Boston University in 1994. He then completed three years of rigorous training in Periodontics and dental implants, in addition to a Master of Science degree in Oral Biology at the University of Medicine and Dentistry of New Jersey. Dr. Beydoun accomplished the prestigious and demanding step of becoming a Board Certified periodontist and dental implantologist in 1997. Dr. Beydoun’s extensive training make him one of New Jersey’s leading periodontal and implant surgeons. When he is not treating patients, Dr. Beydoun serves part-time as a Clinical Professor at Rutgers School of Dental Medicine Department of Post-Graduate Periodontics. Dr. Beydoun takes special interest in the field of esthetic periodontics and dental implants. Therefore, he is constantly working to enhance his knowledge and technical skills in those areas by attending continuing education courses and specialty conferences, including the field of Laser dentistry. Dr. Beydoun utilizes the latest surgical techniques available, including various techniques of sinus elevation and bone augmentation procedures, as well as minimally invasive dental implant placement. He is dedicated to providing the highest quality of periodontal care and promoting the overall health and well-being of his patients. 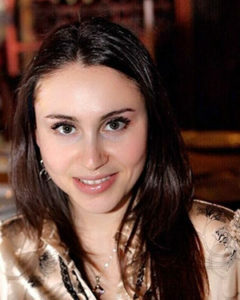 Dr. Natalie Farokhzadeh general and family dentist in Yonkers. Dr. Scott Rothenberg received his doctorate in dental surgery from the university of Maryland, graduating in the top ten percent of his class. Dr. Rothenberg completed his 6 year residency program in oral and maxillofacial surgery at The New York University medical center and Bellevue hospital. He earned his medical degree from New York University school of medicine. Dr. Rothenberg has received extensive training in anesthesia, dental implantology, bone grafting, dentalalvlar surgery, facial trauma and head and neck pathology. Dr. R is a board certified oral maxillofacial surgeon. He preforms the full scope of oral and maxilliofacial surgery with special interest in dental implants. 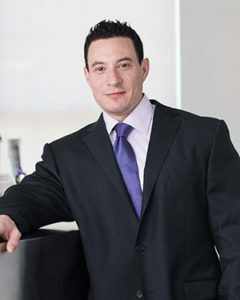 He has incredible success and accomplishments which is why he is one of the leaders in placing implants in Yonkers. Do you have any questions about the general, family and cosmetic dentists in Yonkers? For more information or to schedule an appointment with the best dentists in Yonkers of Park Avenue Smiles of Yonkers, Westchester County, please contact our Yonkers dental clinic for consultation with the dental specialist.